A few weeks ago, A Quilter’s Square was celebrating their 33rd anniversary with a 33% off sale. I saw the announcement through Instagram, and I was drawn in by their selection of Kona solids. My Kona neutral bin was a bit low, so I picked up 2 yards of Eggshell and Ivory, and I just could not resist getting a yard of Niagra. I also could not resist a few half yard cuts of some great prints. Make the Cut Sharp is going to be a great addition to my growing Low Volume stash, the Color Theory triangles in Mustard is a really fun design (that begs to be made into a quilt), and I just couldn’t resist adding some Bike Path either. It was fun to buy a few things on a whim! Gorgeous picks! You know I’m all about the Niagra, and the second combination looks great together! It sounds like you bought them as stash builders, but I’ve been making a few projects out of blues and orange/yellow and I think they are quite striking together. You certainly added some great fabrics for your stash. The mustard and bike path look like they go together perfectly. It will be fun to see what you do with them. Nothing better than a sale and solids IMO!! 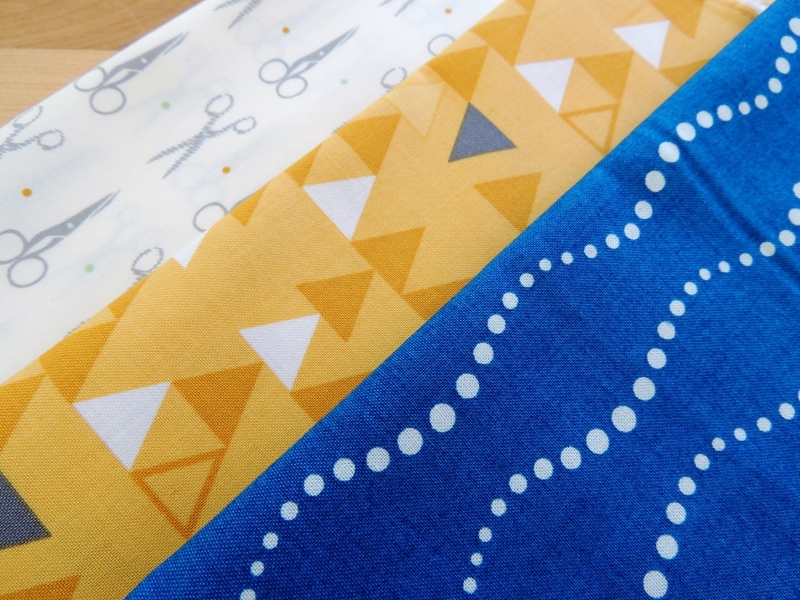 Love the little scissors and that mustard print will be perfect in a quilt! Wonderful fabric choices! I know I need to stock up on my neutrals. I hope you have a wonderful creative day! Definitely great stash builders. I find their shipping is super fast. I agree with Kitty. Blue and yellow can be so striking together. In fact, my Meadow Mist mystery quilt is blue and yellow. I love the bike print path fabric, Yvonne. Just an easy meander. Oooh nice choices! I love the scissors, those would be fun to use in LV swaps. Those triangles are great, what a fun piece! 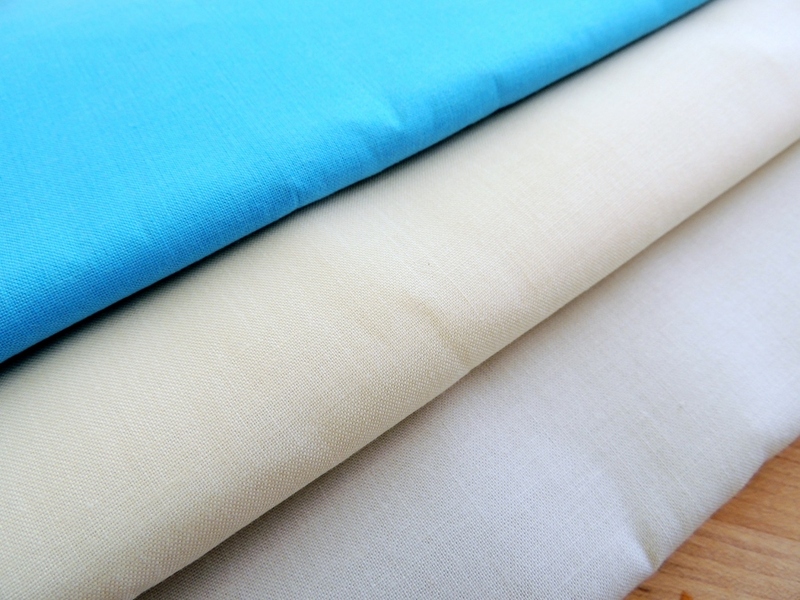 Kona solids are my favorite; I bought a yard of Mushroom a few weeks ago – it’s such a pretty color. Looks like you’ll be making something fun soon! Oooh… I love whim shopping! I had to add to my neutral basket when I was at Intrepid Thread, and I feel so much more confident I’ll have the tools I need now. My fave are those triangles… I’ll have to reinvestigate that line. Yellows can be difficult to find, so this is a good one! Lovely choices and they look very you!